The hydraulic pump is one of the many parts of your hydraulic system that must be kept in tip top shape in order to guarantee good performance from your equipment. When your pump fails, your work will grind to a halt. 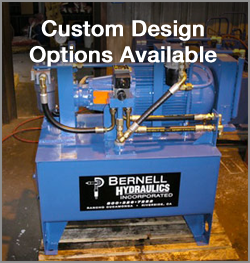 Fortunately, you can get the hydraulic pumps repair Rancho Cucamonga CA you need from Bernell Hydraulics. Whether you want to purchase a replacement part so you can do the repair yourself or prefer to let us handle the whole job, we’ll be happy to assist you. Sometimes repairing your old pump might not be cost-effective compared to buying a new one. We stock a variety of pumps from high-quality brand name manufacturers and you can rely on us to source your new pump in record time. You can pick up your new pump in one of our stores or else have it shipped or delivered to you.